Honda is renowned in the motor industry for two things above all others; reliability and excellent customer service. Well, in the past month, I’ve had a rather mixed experience with our long-term Civic in these areas. First the bad news, and that’s that the car has suffered a couple of technical glitches, one trivial, one not-so-trivial. The former was that my car’s rain-sensing wipers stopped sensing rain. As a result, I was left with no intermittent wiper setting, meaning they were either going constantly or not at all. Clearing your screen during a light shower – which let’s face it, we have quite a few of here in the UK – meant flicking the stalk on and off the whole time, and it got rather irritating after a while. The second issue was less irritating, and more, well, terrifying. 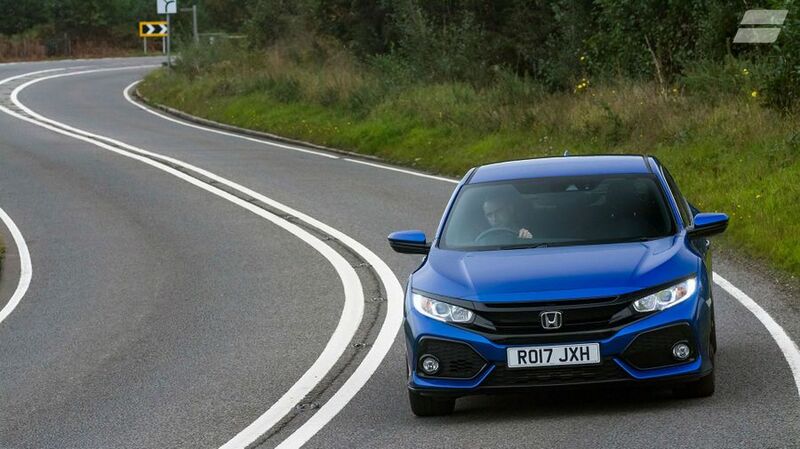 Long story short, our car – like all Civics – has an automatic emergency braking system, which senses potential hazards in the road ahead and flashes up a warning, and then if you still don’t react, it slams the stoppers on for you automatically. A few weeks ago, the function cut in without any provocation whatsoever, meaning the car – containing myself at the wheel, my partner and our two toddlers – performed an emergency stop for no reason. Aside from giving them a start, the kids were fine, and the missus didn’t seem too shaken, either. She was, in fact, far less upset than the woman driving the black Vauxhall Zafira behind us that almost ploughed into the back of the Civic, who plainly thought that I, as the driver of the offending Honda, was just being an absolute muppet. I, on the other hand, was pretty shaken up by whole thing. The harsh reality of the situation was that this malfunction had nearly caused an accident, one that would’ve involved my children, and I as the driver was completely powerless to override it. I really wasn’t happy about it, but nevertheless, I decided to put it down as a freak, isolated incident and tried to forget it ever happened. However, this approach proved ill-advised about a week later, when I got a phonecall from the missus telling me that it had happened again, this time on her watch. Unsurprisingly, she was rather less calm about it this time around, and it was abundantly clear that action needed to be taken. 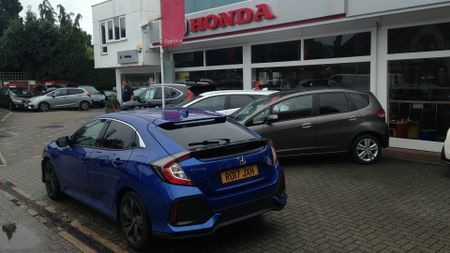 So, off the Civic and I popped to Trident Honda in Ottershaw, Surrey (01932 874411), where I’d arranged over the phone to have both issues looked at. I was welcomed in a friendly and polite manner by Shaun from the service and repair department, my keys were whisked away and I took my seat in the comfortable waiting area and cracked on with some work. Around 90 minutes later, my wipers had been completely fixed (they needed a new sensor), and the fault with the autonomous braking had been identified. It was rather more than a while-you-wait job (the whole camera system needed to be replaced), so I was quickly and efficiently booked back in for a later date. The necessary work was carried out under warranty a few weeks later (the system was disabled in the meantime to prevent a repeat performance), all with the convenience of a courtesy car, and all with the minimum of fuss. I’ve visited a lot of car dealerships in my time, and it’s no exaggeration to say that this was one of the best customer service experiences I’ve had. Quick, simple, efficient, polite and effective throughout, there was very little to fault. If you’re really splitting hairs, their coffee was pretty awful, but that’s more Kenco’s fault than Honda’s. Besides, you can’t really grumble when it’s free. I don’t know if this quality of service is typical of all Honda dealers, but if it is, you can see where the brand gets its strong reputation from. A few weeks on, and I’ve experienced no more random emergency stops or dodgy wiper behaviour, so once again, I’m a happy motorist.